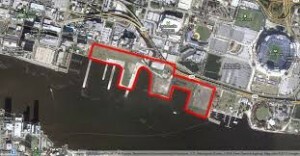 Jacksonville has a plethora of unused property on the north bank of the St. Johns River ideal for development. On June 25, 2013, Visit Florida circulated a brochure to newspapers across America, in which not one word was about Jacksonville. There is also no mention of Jacksonville on the Visit Florida home page. A visitor to the website must first be aware of the city of Jacksonville and then search to view. The north bank of the St. Johns River, formally known as the Shipyards, offers an ideal location for an aquarium and a Maritime Museum. Docking space is available for ships to tour the river similar to Dubuque, Iowa, including river taxi, air boats, and replicas of steamships and paddle boats. The Adams Group is working to bring the USS Adams to a location on the shipyards, which we heartily support. The average length of stay for visitors to Jacksonville is four days. In 2009, the direct spending of overnight visitors was estimated to be $893,500,000. The total impact of these visitors to Jacksonville was estimated to be $1.5B. Visitors accounted for an estimated $67,000,000 in sales and local option taxes. 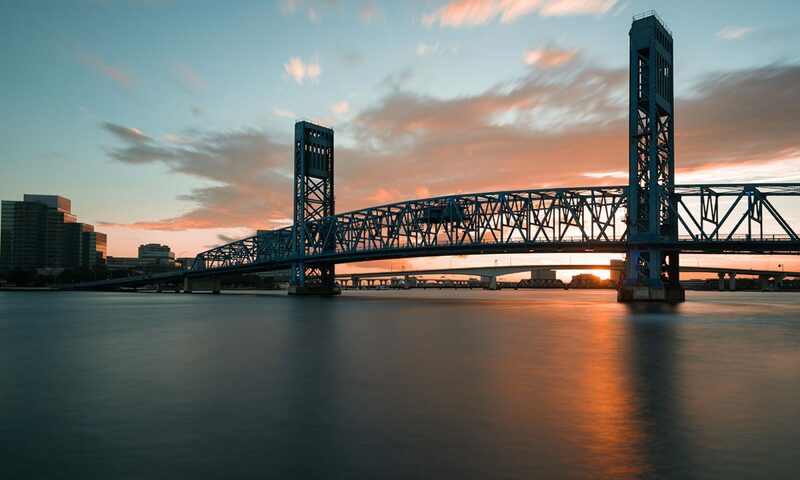 Visit Jacksonville reported that the height of the tourist season in Duval County is in the Spring. The percentage of hotel occupancy has grown annually, but not enough. 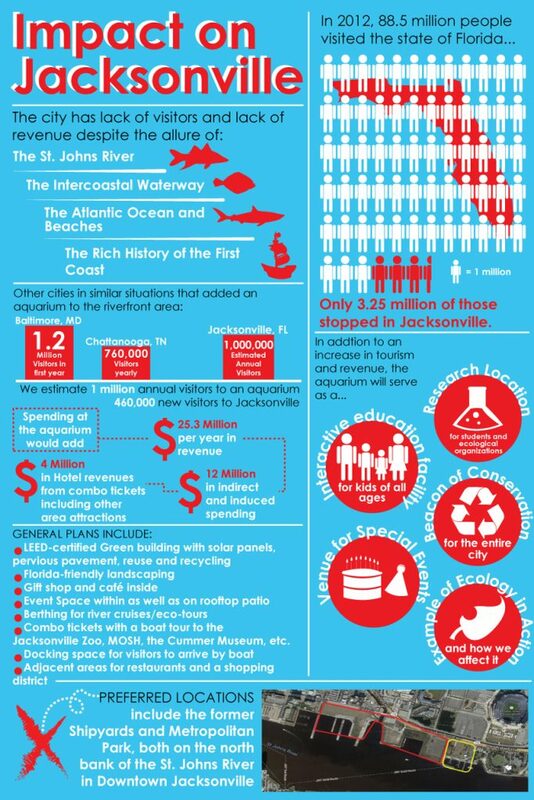 What economic impact would 1,000,000 more visitors have on the Jacksonville economy? Using 2009 numbers as a base, another million visitors would generate an additional $338,400,000 in direct spending. A million new visitors would generate another $5,640,000 in bed tax revenues. If the aquarium is placed on the vacant Shipyard coupled with the USS Adams and a Maritime Museum, it would become a major attraction to pull visitors to Florida off I-95, I-10 and I-75. The downtown economy would boom and downtown would be connected to the stadiums and marina within easy walking distance. Bay Street businesses and the Landing would become revitalized. Substantial new revenues would fund many of the projects already seen as needed by Jacksonville. This could include the building of a new convention center on property near the aquarium, as has been successfully done in many, many cities around America and the world. Jacksonville would truly have major appeal to visitors from all over the world. A joint commitment from private citizens and corporations to invest in the first projects to be centered around a world class aquarium on the old Shipyards acreage. A visionary who will pursue and coordinate this project through leadership and a strong will to see it succeed. Contact Us for More Info or Donate Now!